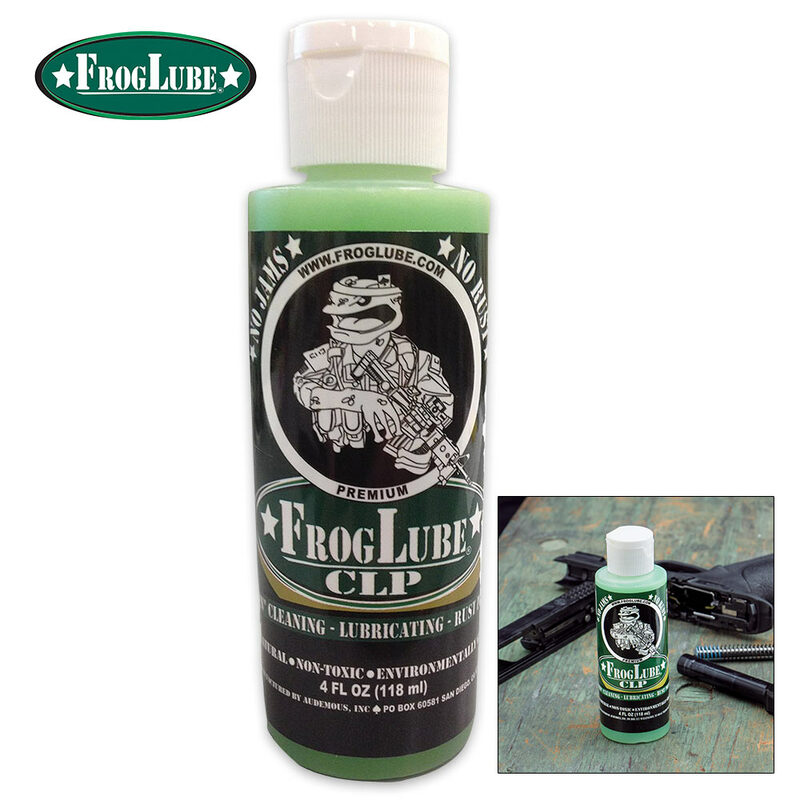 FrogLube CLP Gun Cleaner - Dissolves Carbon On Contact 4 Oz. | BUDK.com - Knives & Swords At The Lowest Prices! FrogLube CLP Gun Cleaner - Dissolves Carbon On Contact 4 Oz. 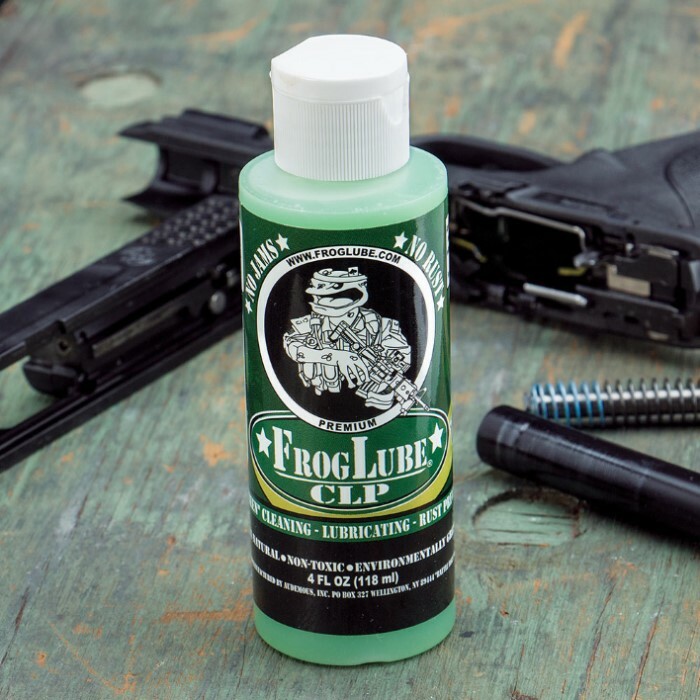 You need Froglube for your weapon right now if you want to maintain it properly so that it will work in top shape for many years to come! This lubricant is a cutting edge biodegradable product that is made from USDA Certified Food-Grade ingredients. All ingredients are produced in the USA to create a non-toxic substance that dissolves carbon on contact! You get a durable dry, slick, wax-like surface that reduces friction, eliminates fouling and destroys rust. The heavy specific gravity enables it to season the metal by absorption deep into the pores. Froglube can be used on plastic, urethane, nylon and wood. It is environmentally safe and can be disposed without the need for prohibitive HAZMAT controls.